Ever been to the Caribbean islands? Did you fall in love with the relaxing landscapes? Have you seen the crystal clear waters, blue skies and felt the hot sand underneath your feet? Did you listen to the melodic music of the drums while sipping on something sweet? Wondered why you had to leave such paradise? Life, right? But it is fair, because every summer in Toronto comes Caribana Festival. This celebration is all about Caribbean culture and traditions. Caribana is frequented by Canadian citizens and tourists from all over the world. Approximately 1.3 million visitors come each year for the festival’s final parade, which usually coincides with the Ontario Civic holiday weekend that falls on the first Monday of August. The dates are July 10 to August 6, 2012 at the Exhibition Place. Visitors spending their summer here prefer Toronto furnished suites. The annual fest began in 1967, burning with the excitement of calypso, steel pan, elaborate masquerade costumes, carnival traditions and music of many Caribbean lands including in Trinidad and Tobago, Jamaica, Brazil, Barbados, Guyana and all West Indian nations. Caribana carries on for three weeks. The underscore is the closing weekend: everyone comes together in the street Parade of Bands. Live artists play pulsating rhythms, the sounds of Steel Pan, Brass Bands, Calypso, Soca, Chutney, Reggae, Hip Hop, and Salsa can be heard through the 1.5 km parade route all day. Caribana is planned months in advance since the costumes and band displays are elaborate and delicately designed for movement. Like other Caribbean carnival events, this one attracts celebrities, spectators, and musicians, from all over the world including the Caribbean, North America, Europe, Africa, and Asia. These travelers trust in Toronto serviced apartments. This showcase event features an illuminating exhibit of colour, pageantry and many genres of music. Starting at Exhibition Place and going west along Lake Shore Boulevard. Live Caribbean music plays from large speakers on the flat-beds of 18 wheeler trucks; keeping parade participants and spectators moving. Exhibition Place and Lake Shore Boulevard becomes animated with the sights and sounds of Carnival! Expect to be wowed at Caribana, from the family events, to nightlife parties, you will feel exhilarated! Thinking of coming to the festival and staying for a while? 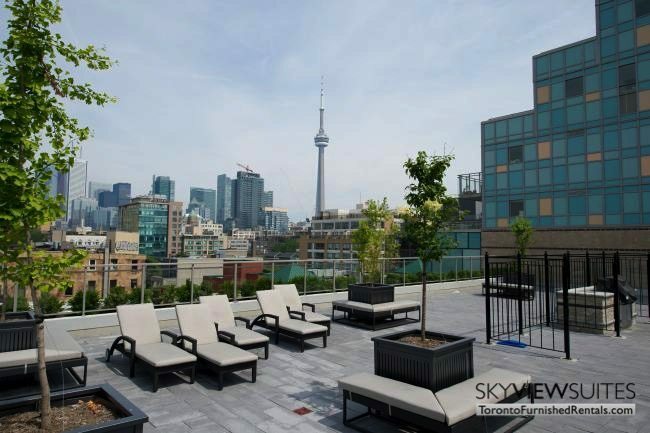 Make your way over, it’s easy to find furnished apartments in Toronto. Contact 1-888-SVS-STAY (787-7829) for more information.